Kevin Omland, a biology professor at the University of Maryland, Baltimore County, stands below a highway overpass towering above a wooded stream valley in the Patapsco Valley State Park, just southwest of Baltimore. He aims his binoculars up at a scraggly nest of sticks that ravens built in the steel beams beneath Interstate 195. “Wow!" I replied. "Three large, black, sinister looking dudes sitting up on their nest under the bridge -- kind of ominous." Common ravens, or Corvus Corax, are – of course – beloved in Baltimore, with their ties to Edgar Allan Poe and our NFL team. But historically, around the world, ravens have been seen either as harbingers of death – because of their habit of eating dead animals and people – or, alternatively, as godlike tricksters, because of their intelligence, dexterity, and bizarre vocalizations. For much of the early 20th century, ravens were rarely seen in Maryland – in part because farmers often shot them. 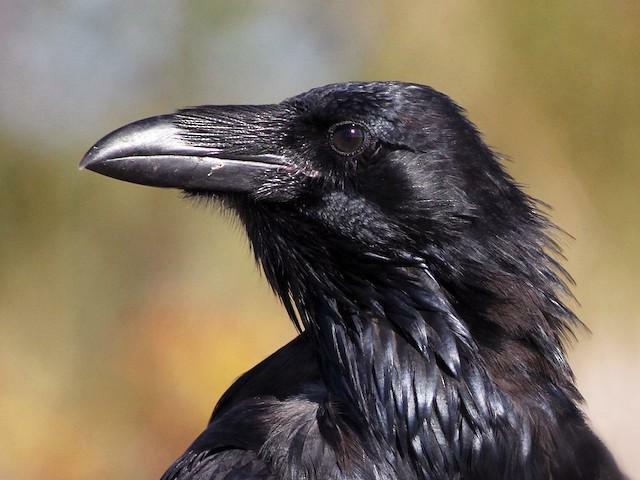 But since about the year 2000, the numbers of ravens in Maryland and elsewhere have surged, according to data from the Cornell Lab of Ornithology. One of the things that Omland discovered is that raven species in North America have been merging, genetically – the opposite direction of typical evolution. Normally, people think of evolution as working like a tree, with a common ancestor at the root and then diverging and spreading into many different branches that are distinct species. With ravens, a smaller species common in the US southwest – known as the California raven – interbred with the larger northern ravens, Corvus Corax. It’s almost as if two branches in the evolutionary tree forked – and then, weirdly, grew back together again. Omland reflects that it’s a bit like humans’ ancient genetic history, when homo sapiens evolved away from Neanderthals but then later interbred with them. It is a little strange – but it worked for humans...and apparently, interbreeding is working for ravens. Their populations are growing and their ranges are expanding. Now, this tricky bird – long a denizen of the remote wilderness -- is increasingly building nests even on the doorstep of the city, Baltimore, that adopted them in spirit when they were gone.